If there are preggos there who are longing for something really sour, then here is your fruit. 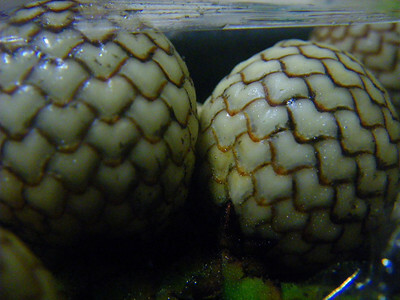 Rattan fruit. I also didn't know that such a thing existed but these were bought in Pure Gold. 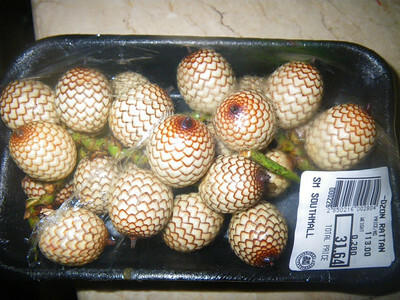 Rattan fruit is like a cross between Sampaloc and Lanzones. It looks a little like lanzones, and you open it just like one. It's fruit meat, however, is brown (like chico) AND IT IS REALLY, REALLY, REALLY SOUR. It tasted like a very sour sampaloc. Anyway, it seems to be considered a citrus fruit and must be very high in Vitamin C. Plus, it's cheap.